This thoughtfully-designed Marley Necklace Set showcases a gracefully cascade of white seed beads. 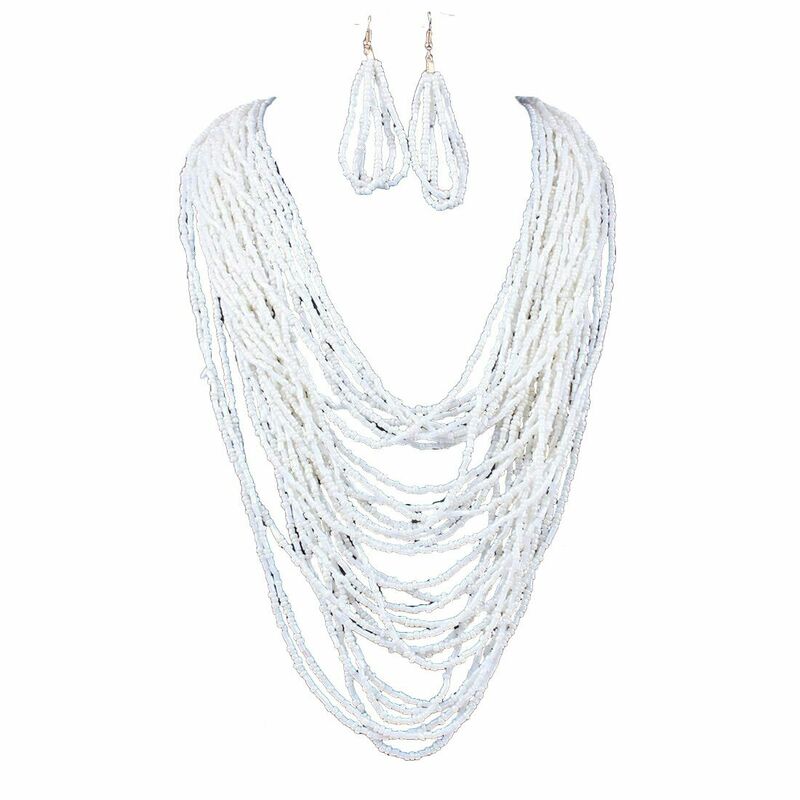 The necklace set comprises of fish hook drop earrings. Oz Bling is fast becoming the leader of online jewellery stores Australia.